Expressing appreciation and saying thank you doesn’t have to be difficult, especially when it comes to ribbons. How often do we take advantage of all the tools we are given? And, do we realize the importance of each of these tools? 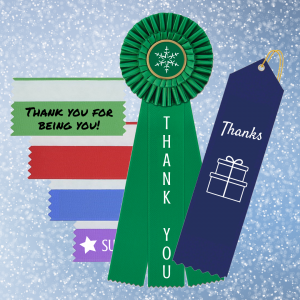 But, here’s the real question: how can you use personalized ribbons to say thank you? 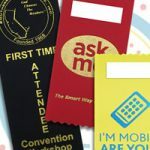 Using personalized tools such as ribbons and name tags doesn’t always need to be in a setting such as an office or store. Custom ribbons are so much more than that! And, to prove this, here are four fun ribbon types that let someone know just how much your care. 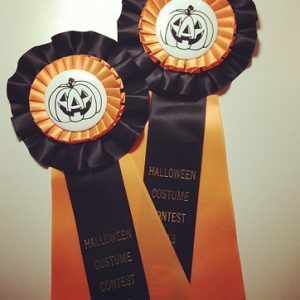 These fancy ribbons aren’t just for awards, you know! Grab one today to let someone special know just how much you care about them. Add a graphic to the center button and a unique thank you message to the streamers. Each rosette can be customized to meet any need. 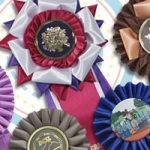 And, you don’t have to have a specific reason for giving one of these rosettes. From a simple thank you to recognizing a job well done, these ribbons are sure to please any recipient. And, with a variety of styles, colors and other customization options, you’ll love them too. If you need a quick and cost effective way to say thank you, try these flat ribbons. Badge ribbons are perfect if you need a whole bunch of ribbons to express your thanks. Choose a specific color for each person and add your custom text. 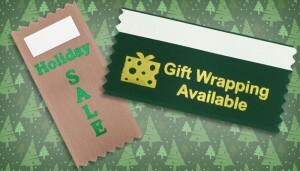 These flat ribbons are easy to hand out at an event or other holiday party for favors or awards. Or, give them as a bookmark or other memorabilia to take home. 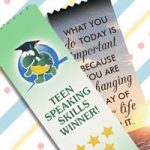 Each badge ribbon is sure to grab the recipient’s attention and let them know just how much you care. And, with such a large variety of imprinting and other ribbon options, these are sure to go over well. Need something that you can write on? How about a blank badge ribbon! 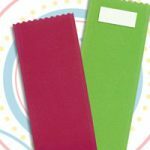 With these easy-to-use ribbons, you can add just about anything you need by simply using a permanent marker or other label. From drawings to handwritten messages, the only limit is your imagination! These custom ribbons are nearly perfect for anything. But saying thank you is a great way to use them as well. With the available full-color printing options, you can make these just as unique as your recipients. 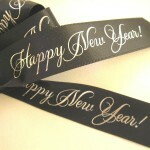 Each custom top ribbon is perfect for any holiday event or party. And everyone will treasure this thoughtful way of saying thank you for a very long time! How else can you say thank you with ribbons?